It is very easy to create a WordPress website. but WordPress is no longer a simple blogging tool, Now it is a very powerful Content Management System. You can use WordPress to build different type of websites very easily. Continue reading this article to learn what type of websites, You can create with WordPress (Plugins + Themes). WordPress is no doubt most popular CMS to build websites (You can build 35+ Type Of Websites With WordPress) and blogs quickly and easily, To create a WordPress website you need a good hosting provider and a domain name. WordPress was started as a blogging platform and most people used WordPress to set up a simple blog quickly. In this article, I will discuss what type of websites you can create with WordPress and what plugins you can use to create 35+ Type Of Websites With WordPress. WordPress is not a simple blogging platform, you can turn your simple WordPress website into a powerful website with so many advanced themes and plugins. Thousands of free and premium plugins are available to turn WordPress from simple blog to powerful professional website. You can create almost any type of website with WordPress with minimum technical knowledge. If you know the basics of WordPress, how to install and set up WordPress Plugins then you can create the different type of websites with WordPress very easily. You can start a new blog as low as $3.95/month with BlueHost. Read How much does it cost to start a blog. For example, If you want to sell your products online, you can create an e-commerce website with WordPress and free or premium e-commerce plugins. There are many free and premium plugins available, which helps you to set up an online store with WordPress. For example, WooCommerce is a popular free e-commerce plugin for WordPress to set up and online store. WordPress offers plugins and themes to enhance functionality and look of your WordPress based website. 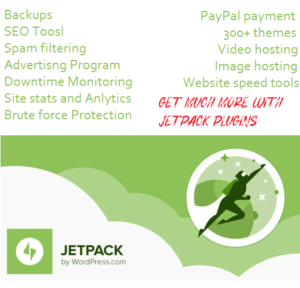 There are thousands of free and commercial plugins and themes available for WordPress. Themes are used to change the look and feel of your websites while plug-ins add extra functionality to WordPress websites. What kind of website you can build with WordPress? In this article, I am going to list some popular plugins that allow you to create the different type of websites with WordPress without advance technical knowledge. Most of the time you need free plugins but for advanced options and features premium plugins ad add-on are also available. WordPress was started as a blogging platform and even today WordPress is most popular CMS to create blogs. Getting started with WordPress is easy and you can quickly set up a blog or personal website with WordPress. You can set up a free blog at WordPress.com or if you want full control over your blog or website then you can set up a self-hosted WordPress blog. Normally people use WordPress.com as a platform for personal blogs, but it can also be your online home for your business. WordPress.com have tools and features to help you establish a professional web presence and support. 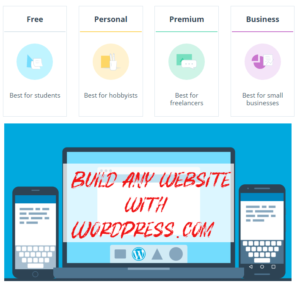 You can also use self-hosted version to set up a business websites with WordPress, but I believe WordPress.com for business should be your first choice because they offer a lot of features, Best plugins for business, themes and professional support for business websites and customers. So many popular brands and business such as CNN, Forbes, Reuters, Sony, Samsung and many others use WordPress for their business. Social Networking websites are very popular, Twitter, Facebook, Google+ and so many other websites are using by billions of people. Setting up a large website like Facebook or twitter requires a lot of knowledge and resources but if you want a small social networking website, WordPress can help you to do that. BuddyPress is one of the most popular WordPress plugin to turn WordPress into social networking website. With free social media plugins, You can easily share your content on social media websites, which helps you to drive free traffic to your blog. Online discussion forums are not new, there are many CMS are available to set up online discussion forums but if you are a WordPress lover and don’t want to learn new CMS you can use bbPress to turn WordPress blog or website into discussion forum. 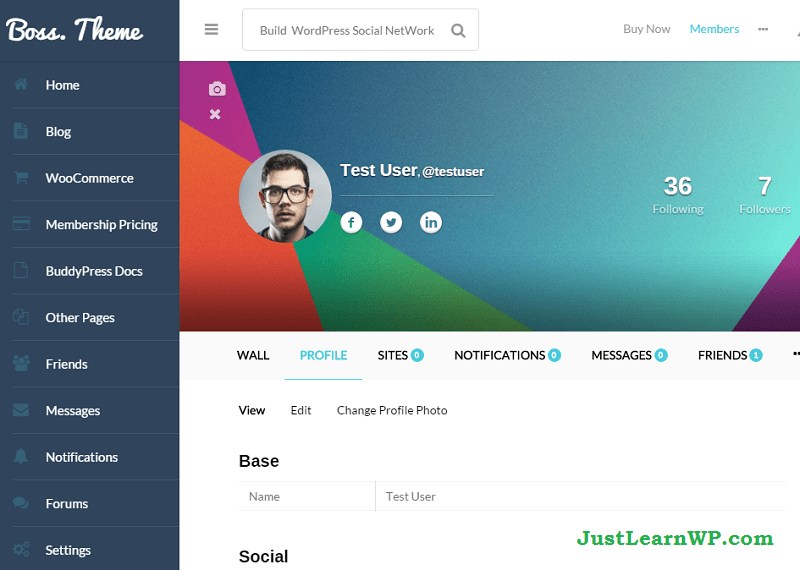 bbPress is most popular plugin to create forums with WordPress. WordPress had started its journey as a simple blogging platform, but now it is being used as a robust solution for building e-commerce websites. The powerful plug-in architecture of WordPress makes it possible for anyone to transform an ordinary WordPress website or blog into a fully fledged online store. There are so many free and premium plugins available that help you to start an online store. Easy Digital Downloads, WP e-Commerce, WooCommerce, JigShop and MarketPress are few popular and free e-commerce plugins for WordPress. Starting a news website is very easy WordPress, hundreds of free and premium themes and plugins are available to add different features. Magazine styles themes are very popular as well. Largo is popular WordPress Framework to build News Websites with WordPress. Largo is fully responsive and mobile friendly WordPress Framework for News Websites, offer powerful publishing tools and if you are a developer then you can read the documentation to learn how to make it more powerful. A child theme is also available for developers. DW Question and Answer, AnsPress – Question and answer, CM Answers and Sabai Discuss are few most popular WordPress plugins which build complete Question & Answer systems for your WordPress website, like Quora or StackOverflow. Most of these plugins support multi-languages, shortcodes, reCAPTCHA, email notification system and so on. I have written an article about WordPress question and answer themes and plugins, You can easily build your own Quora like website with Q&A plugins and themes. If you want to start a Wiki site with WordPress, you can use many free plugins available. Wiki Lite, Pencil Wiki, Simple TOC, Encyclopedia Lite, Welcome WikiLite, WP Wiki User Profile, Wiki Embed, Knowledge Base and UserPress are some most popular WordPress Wiki plugins. Another WordPress Classifieds is most popular free Classified Plugin for WordPress. This plugin lets you add a classified ads section to your WordPress website/blog quickly and easily. ClassiPress is most popular and bestselling classified ads theme for WordPress. This feature-rich theme was built for ease-of-use and tight integration with WordPress so you’ll be online and selling classified ads within minutes. Buy ClassiPress and start selling classified adds on your websites. If you are planning to start an online Job board, you can use WPJobBoard, WP Job Manager and Simple Job Board plugins. These plugins allow you to Manage job listings from the WordPress admin panel, and allow users to post job listings directly to your site. WP Job Manager is a free and popular lightweight job listing plugin for adding job-board like functionality to your WordPress website. Being shortcode based, it can work with any theme (given a bit of CSS styling) and is really simple to set up. Are you in planning stages of starting a website based on membership. Do you want to charge a small annual membership fee? Do you also want to provide your members special perks for different levels of membership? WordPress can help you build member ship websites easily. With many free and premium WordPress Membership plugins you can Build a WordPress membership site quickly and easily. Memberful, Membership, WP-Members and S2Member are few popular WordPress plugins to build membership websites with WordPress. We have also published a list of Top 10 Best Free WordPress Membership Plugins. P2 is a theme for WordPress that transforms a mild-mannered blog into a super-blog with features like inline comments, a posting form right on the homepage, inline editing of posts and comments, real-time updates, and much more. Yes, You can create a review website with WordPress, Creating a WordPress review site is extremely straightforward. are few plugins and themes that allow you to build review websites with WordPress. are few original & most popular classified ads theme for WordPress. Have you ever wanted to build a WordPress directory site similar to Yelp, Linkedin, Biznik, or Foursquare? If so, you are not alone. Business directory sites are great places to promote and build community in your industry niche. WordPress directory site can become nice source of passive income. are few popular free and premium WordPress directory plugins and theme. There are many free and premium best review plugin for WordPress available, which allows your visitors to leave business/product reviews. Testimonials are in Microdata / Microformat and may display star ratings in search results. Building a consumer review website will allow you to supply consumers with the information that they seek and then, once they’ve decided to make a purchase, your site can direct them to a source for the product or service. This process can ultimately allow you to earn some nice commission checks because it’s only logical that you would affiliate yourself with a number of the sites to which you will be directing consumers. There are so many free and premium WordPress directory themes and plugins are available. With all those directory plugins and themes, you can build local directories, business provider listings, Yellow-Pages style business directories, Yelp-like review sections, church directory, an address book and much more. CM Business Directory, GeoDirectory – Directory Plugin and Business Directory Plugin are few free and popular plugins to build directory websites with WordPress. Creating static websites with WordPress is very simple and easy. You can create and publish some pages quickly and easily. Set a custom page as your home page and you are done. You can read Joe’s tutorial at designwall to learn how to create a static website using WordPress. If you want to publish a lot of photos and images and you want to create photo galleries. You can do it with WordPress very easily. Free and premium WordPress photo gallery plugins allow you to create photo gallery websites very easily. Gallery, Responsive Photo Gallery, Envira gallery and NextGEN Gallery are few free plugins to build photo gallery websites with WordPress. Yes, it is possible to build an Amazon affiliate websites using WordPress. With Amazon affiliates, you can make a lot of money. You can earn a small commission on their products that you will recommend. Darren Rose of ProBlogger made $500,000 with the Amazon Affiliate Program. You can read his blog post how he did it. Darren has published an in depth Guide to Making Money with the Amazon Affiliate Program. So if you want to know how to start making money with Amazon Affiliate Program, this is a must read the guide. With Kingom Woocommerce Amazon Affiliates Theme You will be able to easily create and customize a woocommerce store using this theme and sell anything from Amazon as an affiliate. Yes, You can also build beautiful wedding websites with WordPress as well. There are many free and premium tools and WordPress wedding themes available to build wedding websites quickly and easily with WordPress. On your wedding website, you can share your important details about your wedding. How did you meet? Who’s in the wedding party? What do out-of-towners need to know? Create as many pages as you need to organize and share all of the important details with your guests. You can find 50+ wedding themes at themeforest. Do you need a website for real estate, there are many plugins and themes available to build real estate websites with WordPress. We have most popular and best real estate WordPress plugins. There are so many premium Real Estate Themes available for WordPress, These premium themes offer very powerful and advanced features to build websites for real estate customers. Here are few premium themes available at ThemeForest. There are so many popular websites and individual developer and author who sell online courses and eBooks. You can create a website with WordPress to sell your own online courses. LifterLMS is a powerful Free WordPress LMS plugin that makes it easy to create, sell, and protect engaging online courses. The mission of LifterLMS is to democratize education in the digital classroom. A pro version is also available. CoursePress is another free and popular plugin from WPMUDev, which turns WordPress into a powerful online learning platform. With coursePress, you can easily set up online courses by creating learning units with quiz elements, video, audio etc. You can also assess student work, sell your courses and much much more. Yes, you can also sell tickets for your stage shows and dramas. You can use StageShow, which is a free plugin that adds the facility for an online Box-Office for Small Theatres/Drama Groups, records sales, validates tickets and provides sales downloads. StageShow provides a simple interface for defining your Shows, Performances, and Prices. Then a single WordPress shortcode adds an online BoxOffice to your website. Creating new content for your blog is not easy, It takes time to write great content for your audience. Instead of writing everything from scratch you can set up a content curation website with WordPress. The idea of content curation is to gather content from outside sources (other blogs) and distribute it to your audience. There are many free WordPress Content curation plugin available. I hope now you understand how powerful WordPress can be. Creating and building a different kind of websites with WordPress is much easier than any other platform. Here are few more type of websites you can create with WordPress. it depends on you how you use WordPress to create the different type of websites. You can also read Specialty Sites You Can Build With WordPress Pluginsat Speckyboy. You can read How to Build A Consumer Review Website With WordPressWP Review Site plugin. To learn more read A Look At Some Of The Best Rating & Review Plugins For WordPress at elegantthemes blog. Wpbeginner has published an in-depth article How Much Does It Really Cost to Build a WordPress Website?. If you are planning to start a website with WordPress, You should read this article. Previous Previous post: How to Register and Style A Navigation Menu in WordPress Theme? Next Next post: How To Recover Hacked WordPress Website? Thanks for your information about wordpress. Regardless of all I found it very helpful. Love this resource. Hi, I am using WordPress for my personal website. It is great, but I noticed that many hackers target WordPress as it is very popular. I implemented some WordPress security tips and I hope my site is secure now. Thanks for the great article. 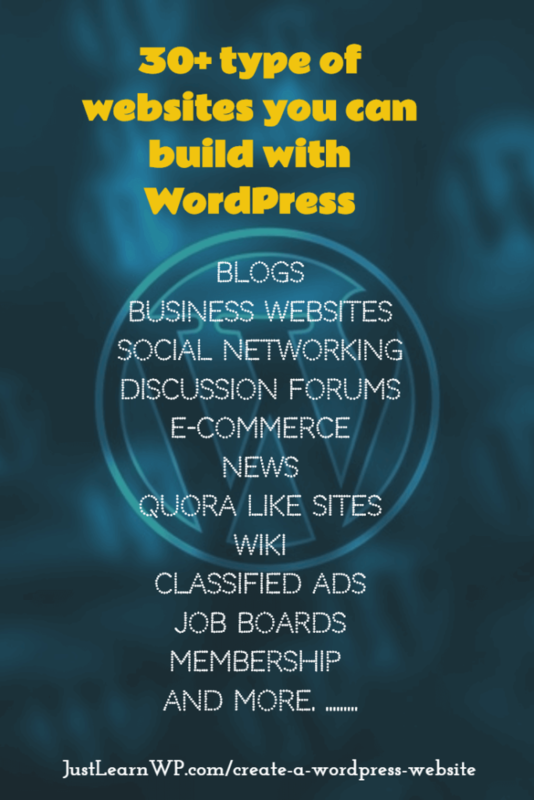 Really, almost any kind of website can be created using WordPress. With the good combination of plugins and WordPress Theme you can develop any website. Thanks for sharing the great blog! I am almost ready to launch my own blog but I am scare to death to publish it. I feel like I will be walking naked in central park. 🙂 I probably need to have more posts to load before going live though. Unfortunately with a regular job to sustain my travels and life it’s difficult to post regularly. this is why i prefer to have more material ready before going live. The matter is not clear to many of us that with WordPress what type of websites can be created. This is also almost unknown too many people that which theme should be used or which plugins are most effective to create a perfect website. After reading this article i am convinced nicely that this is awesome source on the matter of WordPress related site . Thank you for sharing such awesome and informative article here . This is such a great list. For a while now I have been wanting to build a site that is mostly a bank of links, a lot like DrudgeReport.com. Have you seen that one? What would you recommend? You can try WordPress content curation plugins, Mark Zahra has published a blog post at WpMayor Best Curation Plugins for WordPress. The idea of content curation is to gather content from an outside sources, and distribute it to your blog audience. There are many free WordPress Content Curation plugins available, you can download from WordPress plugin repository. How can I remove the “power by wordpress theme” at the Footer section of my site.? You can use following free plugins to hide and lock w-admin and wp-login pages. To remove powered by WordPress you will have to edit footer.php file. Which theme are you using? You can also hide Powered by WordPress with simple CSS. Thanks for this wonderful info about WordPress, I’m inspired… But I have a request to make, can u tell show me an SMS plugin to use? For an SMS website. Please read this post https://www.leadin.com/plugins/wordpress-sms they have listed some WordPress SMS plugins. are few SMS plugins for WordPress.